Looking for something different for your child’s birthday? 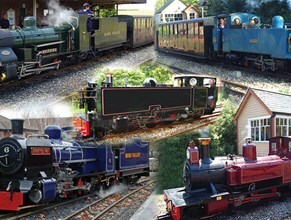 Book a birthday party package at the Bure Valley Railway and have a great choo choo time! Choose either a charter diesel train for £120 or a steam train for £150 for a 30 minute trip from Aylsham to Brampton and return. The price allows up to 40 people to travel. So why not invite the parents as well! For party food, the Whistlestop Café offers a selection of hot or cold food from as little as £4.00 (minimum 10 children). Bring your own decorations and cake to complete this special day.